BAGUIO CITY – A Palace official underscored that the renewed quest for Cordillera autonomy is achievable because of the declared support of President Rodrigo R. Duterte that is why Cordillerans should not lose hope with the current setbacks being encountered by the pending autonomy bills in Congress. Presidential Legislative Liaison Office (PLLO) Assistant Secretary Orville A. Ballitoc said that efforts are now being done by the PLLO to include the realization of Cordillera autonomy as part of the President’s Legislative Agenda (PLA) and the Common Legislative Agenda (CLA) of the Legislative Executive Development Advisory Council (LEDAC) to ensure the speedy action of both chambers of Congress on the pending autonomy bills. The Palace official, who was one of the inspirational speakers during the culmination program of the celebration of Indigenous Peoples (IP) month here recently, disclosed the Senator Juan Edgardo Angara, chairman of the Senate committee on local government, is now finalizing the schedules of the committee so that initial hearings of the pending autonomy bills in the Senate will start moving once Congress will go back to session right after the existing break. “We are doing our part in the PLLO to advance the pending autonomy bills because we believe that autonomy will be a game changer for the Cordillera now that the Bangsamoro Organic Law was already passed and awaiting the conduct of the plebiscite. We want the Cordillera to achieve the constitutional provision mandating the establishment of the Autonomous Region in the Cordillera during the term of President Duterte,” Assistant Secretary Ballitoc stressed. PLLO was instrumental in convincing Senator Joseph Victor Ejercito and Senator Paulo Benigno Bam Aquino IV to file Senate Bills 1923 and 1930, respectively, both seeking the establishment of the autonomous region which was in addition to SB 1678 filed by Senator Juan Miguel Zubiri which has a similar purpose. 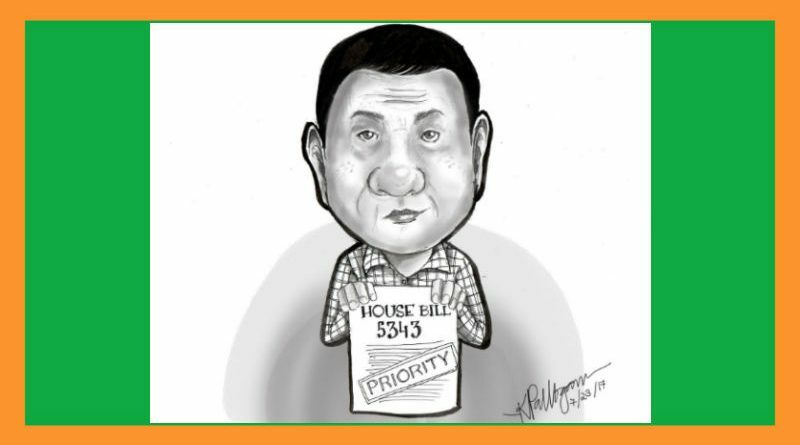 On the other hand, House Bill (HB) 5343 authored by all Cordillera lawmakers, Abra Rep. Joseph Sto. Niño Bernos, Apayao Rep. Eleanor Bulut-Begtang, Baguio City Rep. Mark Go, Benguet Rep. Ronald M. Cosalan, Ifugao Rep. Teodoro Baguilat, Jr., and Kalinga Representative and Mountain Province caretaker Rep. Allen Jesse C. Mangaoang, that seeks for the establishment of the ARC will be deliberated by the members of the House Committee on local government when Congress goes back to session as Mindanao lawmakers already signified their support for the passage of the Cordillera autonomy bill to complete the government’s peace initiative in the south and north of the country. Assistant Secretary Ballitoc, who traces his roots from Ifugao and Mountain Province, underscored that achieving autonomy is the right direction for the Cordillera because it already has a constitutional and legal basis to work on aside from the fact that the Regional Development Council (RDC) embraced autonomy as its overarching agenda to ensure that the region will determine its pace of development through the crafting of policies, programs and activities that are applicable to the prevailing situation in the mountain region.